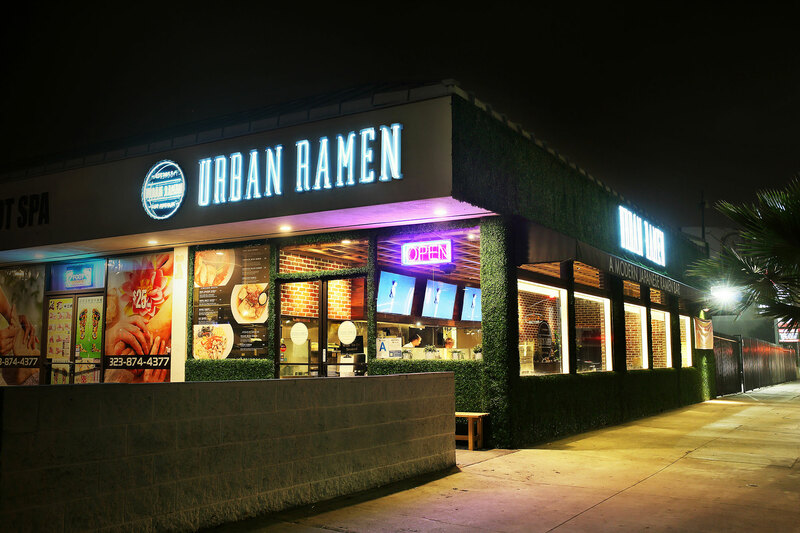 In September 2014, Urban Ramen opened its first location in the heart of entertainment industry, Hollywood, Los Angeles. During the sensational Ramen fever, Urban Ramen quickly attracted many customers including celebrities who have been continuous supporters of our restaurant. As it’s stated in our name, our mission is to provide our customers the most “Urban” experience while serving delicious yet traditional Japanese ramen. We pay close attention to the new trends and cooking techniques in evolving Japanese Ramen market, in order to offer our customer the most up to date flavor. We are happy and excited to announce that Urban Ramen will open another location in Detroit, Michigan in July 2018. Please be advised that we strive to offer the best bowl of ramen with fresh local materials, therefore we will be offering different menus in our Detroit location. We thank you in advance for your understanding.